Muzzle Flash - Real Gun Shots Pack - Motion Graphic (Videohive) | Free eBooks Download - EBOOKEE! Posted on 2016-12-09, by manhneovn. Compatible with After Effects and any other compositing software. Choose from 102 different muzzle flashes! 6 Categories included: Big Guns, Bullet Hits, Small Guns, Rifles, Shotguns, Suppressed Guns and Front Gun Shots. These elements are very easy to composite, just drag the element into your composition and place it where you want it to be. Pre-keyed with alpha channel (transparent background). 4K Ultra HD Resolution: 4096x2304. Duration: 1 to 3 seconds each. 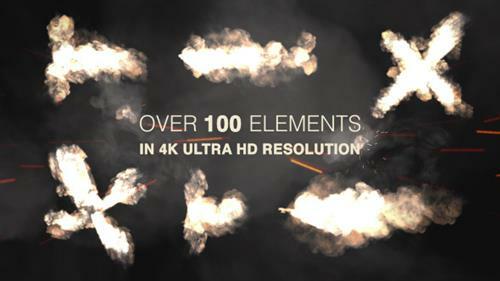 No comments for "Muzzle Flash - Real Gun Shots Pack - Motion Graphic (Videohive)".